Alison Frankel « Hercules and the umpire. Are federal trial judges who write bluntly in law reviews, blogs, etc., “flashers” who expose too much of themselves? If a federal trial judge writes bluntly in extrajudicial articles, does the judge expose too much of himself or herself such that the judge risks recusal and harms the federal judiciary by punching holes in the myth of complete but insular objectivity? Photo credit: sylvar. 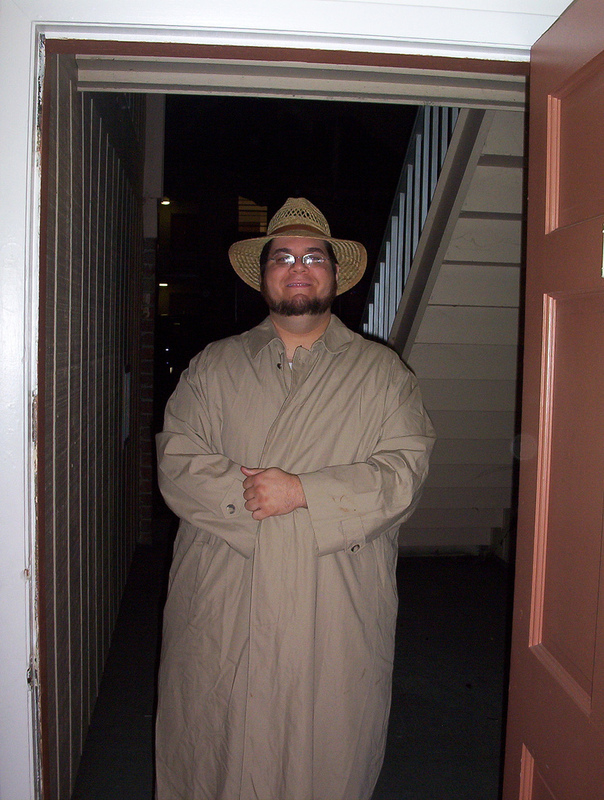 “The Flasher, with trenchcoat closed” per Creative Commons Attribution 2.0 Generic license. No changes were made to the photo. I have reason to think that this blog may be part of a piece sometime in the future by a respected legal news outlet. I would guess that the article may be critical. If that occurs, I welcome both the attention and the scrutiny. And that brings me to my dear friend, Judge Mark Bennett, a truly wonderful person, a fantastic, but very opinionated, writer of law review articles and a great trial judge. Mark was recently the subject of an article written by the estimable Alison Frankel, entitled When judges say too much, Reuters (November 18, 2014). The article deals with Mark’s decision not to recuse himself in a products liability case involving a smoker. This homily was sparked by a recusal opinion issued Monday by U.S. District Judge Mark Bennett of Sioux City, Iowa. Bennett is overseeing a former smoker’s suit against R.J. Reynolds and Philip Morris as a visiting judge in Jacksonville, Florida. On Oct. 31, Philip Morris’ lawyers at Shook Hardy & Bacon and Arnold & Porter asked the judge to take himself off the case because of his 2013 article in Voir Dire, a magazine put out by the American Board of Trial Advocates. Would the system be better served, however, if judges didn’t say things that might cast doubt on their impartiality? I think it would. I told the judge in an email that I believed Philip Morris was justified in questioning his impartiality. He said (very politely) that the opinion speaks for itself and that it would be inappropriate for him to comment further on a case before him. I urge you to read the entirety of Ms. Frankel’s piece and the judge’s written decision explaining why he would not recuse himself. What do I think? First, Judge Bennett was clearly correct as a legal matter. He had no reason to recuse himself. Experienced federal trial judges don’t worry about recusal motions, they are frequently filed but seldom granted. Those are simple legal questions, easily answered as Mark’s clear opinion demonstrates. Moreover, most of the time, we have plenty of judges who can take a case from a colleague if recusal is warranted. I . . . believe there’s a cost to outside-the-courtroom commentary by judges. I still cling to the admittedly starry-eyed hope that judges aren’t just ordinary folk – that they’re wiser or fairer or at least better at rising above their inevitable biases than the rest of us. I know, there’s plenty of evidence to the contrary. But if I didn’t believe in the legal system I’d have wasted an awful lot of time writing about it. And believing in the system means believing, albeit with exceptions, in the impartiality of the judges who preside over cases. When judges give the public a reason to doubt their impartiality, whether it’s through their acceptance of campaign funding or their intemperate comments, faith in the system erodes. This is matter of balance. It is not an easy balance to strike. But, I know this: Given the present state of affairs in the federal judiciary, transparency is more important than the fear that faith in the system may erode if we express ourselves too clearly, too forcefully, and, occasionally, too bluntly in law reviews, blogs and the like. There will be times when we falter. Indeed, Ms. Frankel fairly links to my ill-advised attempt at humor (On being a dirty old man and how young women lawyers dress) while making points I thought were worth making about the appearance of women trial lawyers in the courtroom. That admitted, judges like Mark Bennett do the public (and the bench and bar) a great service “when they get real.” Like the “flasher” pictured above, we can do so without significant harm to the federal judiciary so long as we remember to keep our trench coats closed.